Last week, I shared my beauty guilty pleasure - though the commenters with their Scouse brow confessions took the limelight. This week, I'm on about my cosmetic equivalent to a little black dress. Something I throw on when looking my best is essential, that makes me feel like the dolled up Lovely Girls of Craggy island. My quick fix is a slick of red lipstick. Even the some of the men-folk, usually oblivious to what I look like, squint and tilt their heads - "you look ... nice" they say, with all the eloquence and charm that an Irish bloke can muster. I call cac tarbh on the notion that it's feminist sacrilege to get ready with the intention of impressing a few fine things. A girl has needs, dammit, and those needs take far longer to be met if you're going the woo-with-personality route. 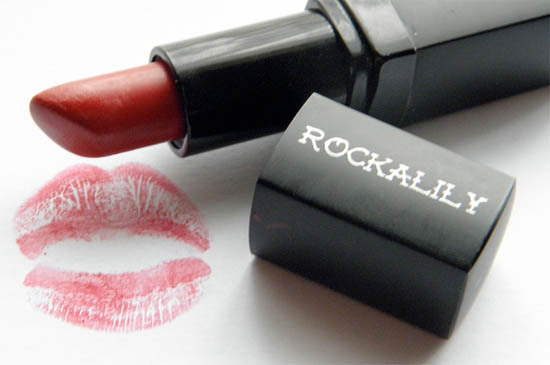 My holy grail lipstick is Roulette Red, £14STG, by Rockalily London, an indie English outfit that do nowt but a small selection of lippies - but boy, do they do 'em well. 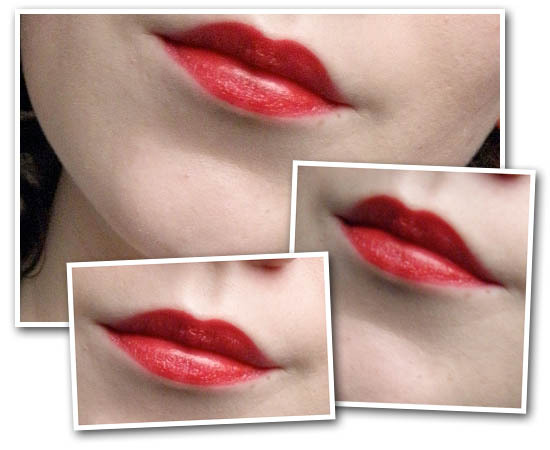 The formulation is flawless; long-lasting, opaque and extremely comfortable. My shade, Roulette Red, is deep and blue based, making it super glamorous as well as flattering to my less than Simon Cowell-esque gnashers. I do have a few more in my collection and, though I'm enamoured with Roulette Red, I'm still coveting others – particularly Besame's Cherry Red. Admittedly, it's mostly the packaging that I'm lusting after but I've heard it's very nice to work with too. This, like Roulette Red, is a deep blue based red, the kind of colour that flatters my Celtic colouring. They also have warmer tones, like Carmine or Red Hot Red, to suit more sallow or yellow based complexions. I hope that this has redeemed me from the shame of my tacky-talon habit. Am I alone in conjuring up a game face? What do you pull out of your make-up bag to get heads turning?